This page has a total of 15 images, as of 28.03.2019 (21:56:09). I do not know the source of the photographer's name, so it might be a wrong link I made at one time, but for time being I let him stay linked to this image so to speak! The view is a nice one of the Portland Mines, No.1 (Burns) Shaft in foreground and the No. 2 Shaft in the background more right. Between them is the old Shaft House of the Scranton, where the text 'No.2' is written. 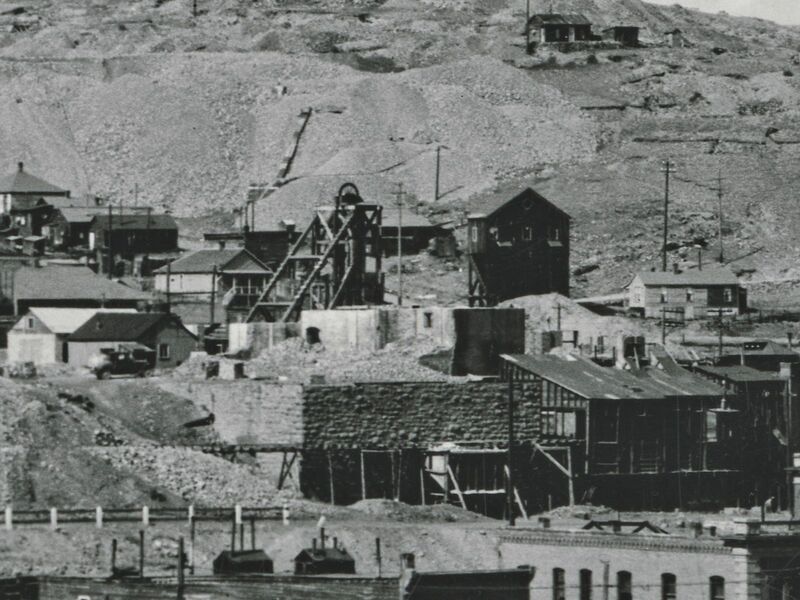 Behind that shaft-house and the cribbing there is a spur belonging to the Short Line terminating at the Ajax mine way outside the view at left. #3045. Portland Mine, Cripple Creek District, Colo.
Not the best-looking card, damage in upper left corner where part of the number 3 making out the first number is missing, and the whole card is dark and not very sharp at all. But so far till now middle of July 2018 I've only seen this scene as a type of printed/lithograph type of view, and of the 8 I so far know about two are colored postcards, four are B/W postcards and two are postcard folder images. This is a rather close-up view of the Portland No. 1 Mine with the Portland No. 2 in the background on top of the hill, and it tells the story quite well on how big a mine can grow. There is quite a lot of dump materials here, held up by the massive crib walls seen, lot of structures, ore houses built in stages and enlarged and so on. 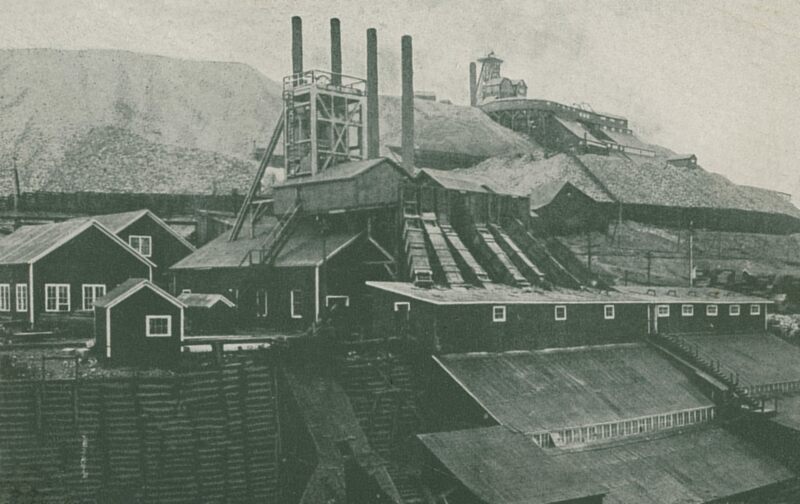 The Short Line branch to Ajax Mine runs along the large cribbing seen in the background about 1/3 down from top, that crib-wall is supporting the large dumps around the Portland No. 2. Mine. My Website; Postcards Overview: ⊞ #3045. 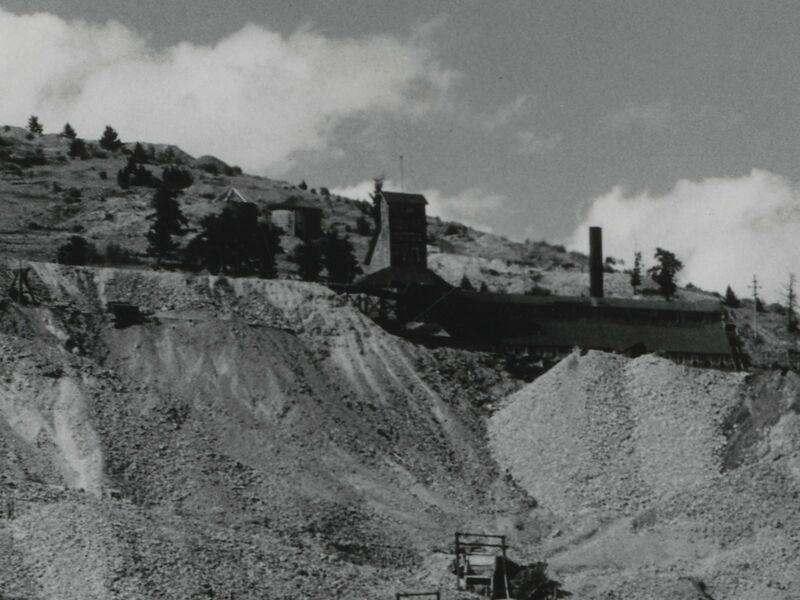 Portland Mine, Cripple Creek District, Colo. This is a view up North Third Street in Victor, Colorado. I knew of this view as a postcard before I got hold of this photocopy, the postcard I had dated to be from not newer than some days before July 10, 1903, as on that date there was a Trolley Line running up this view on Third Street and here there are no visible sign of any Trolley tracks. But, this is after then 1899 Fire that took out much of Victor. * About 1/3 up from bottom and 1/3 in from left-hand side, there is a text on the roof of a sampler known now as 'Rio Grande Sampler' but I've also seen it in earlier days known as the 'Victor Public Sampler', located between the Midland Terminal and the Florence & Cripple Creek Railroad Tracks, served by dual gauge tracks I think. 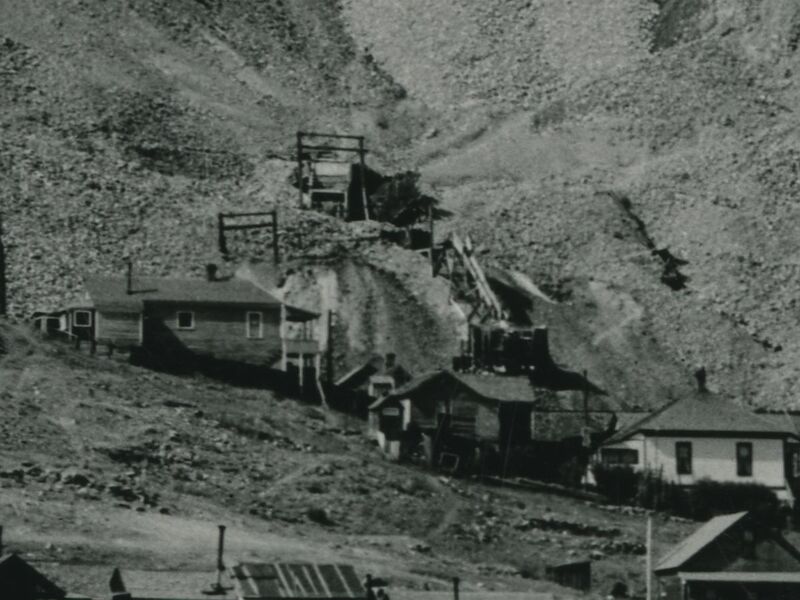 * Further up the hill – Battle Mountain – there are houses and also the Shaft House of the W.C. Dillon Mine is visible with is special looking Shaft House with its very steep angled roof on the left side, and short steep slope on the right before it goes over to be a low angled roof line, and as the Shaft-house has lot of text, sadly which was unreadable, it is very easy to pick it out in this and other views. Found about center top/down and about 2/5 in from left-hand side. * Even further up the hill, about sideways center is the large Burns Shaft of the Portland Gold Mining Company, also known as Portland No. 1 Shaft. It replaced the original shaft which was somewhat more to the northeast if I have by bearings right, long gone in this view. * To the left of the Portland No. 1 there appears to be another smaller Shaft House, one of the older ones that got gulfed up in the Portland group, think it might be the old Shaft-House of the Anna Lee Mine, but I might be wrong. * Just to the right of the Portland No.1 shaft, up against the sky, is the old Shaft House of the Portland No. 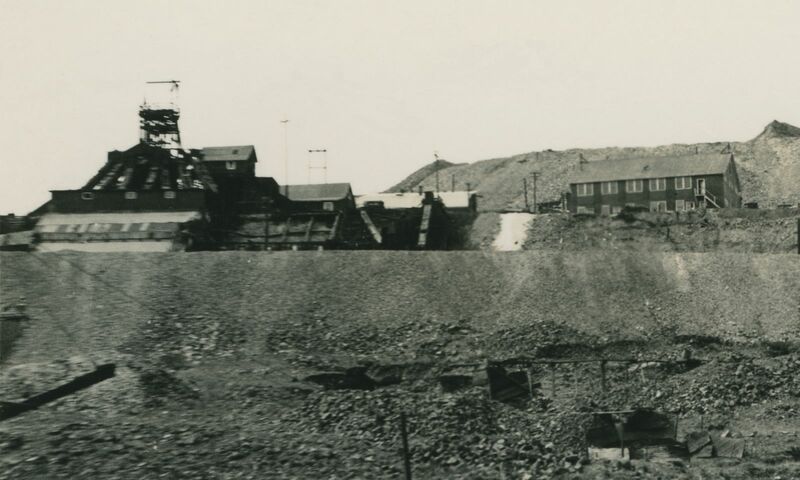 2 Mine, before they made it much larger and the one we all are more used to see in views of Battle Mountain Mines. My Website; Postcards Overview: ⊞ North Third Street and Battle Mountain, Victor, Colo. 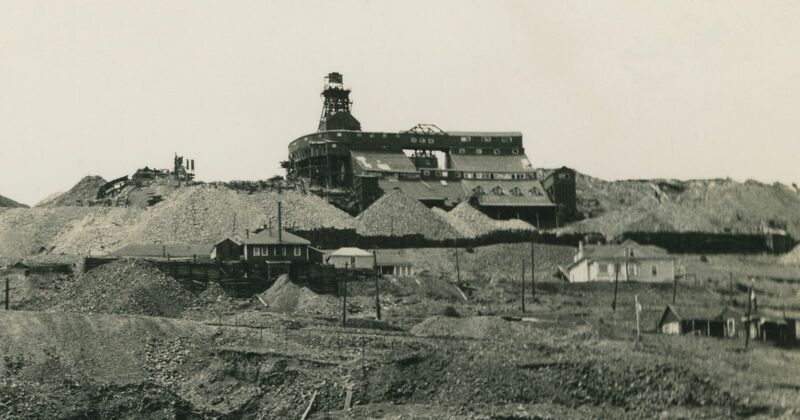 Scene shows the smaller more 'modern' Granite Mine as it was looking at the time of the photo, with the dumps of the Portland No. 2 in upper left and the Lumber Work House of the Portland No. 1 seen about 1/3 down from top and center sideways, while the Head-Frame is seen near right-hand side. The old grade of the Golden Circle ran in the 'cut' seen in lower right quadrangle – having come out from the Steel Tunnel below the Portland No. 1 dumps, part of the crib-walls is still seen in this view. There appears to still be track on the Short Line Ajax branch as well, seen below the Portland No. 2 dumps in upper left, track is seen about 1/3 down from top, from left-hand edge to about 2/5 into the view towards right, where it curves out of out view. 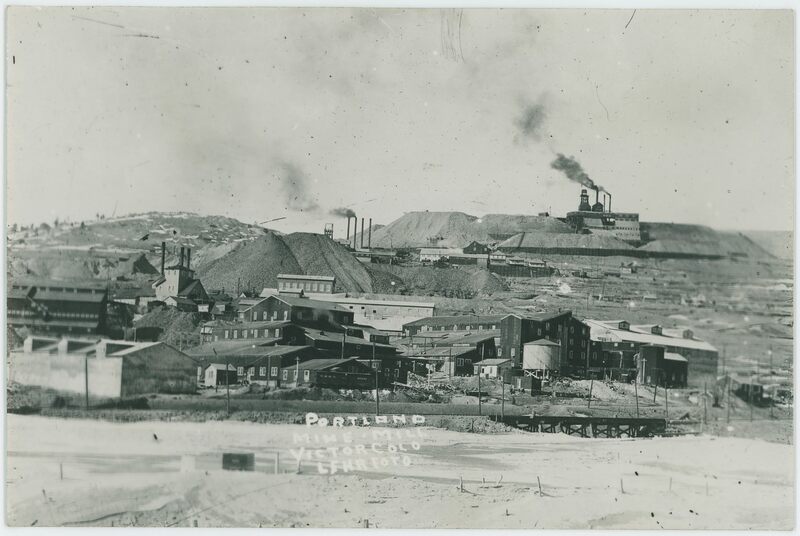 This is sadly not a good view of the Portland Mines due to the printed type of image used on this card, and a similar card published by W.A. Loper using same image and layout, but this is the only known to me source of this photo that O.E. Masters took sometimes before July 1905. There appears to be still the grade of the original High Line running through the Portland Properties in this view, as there is what appears to be a bridge on left-hand side on the image part, about 1/4 up from bottom, and that would date this to be in the 1898 to 1903 timeframe as the High Line was then abandoned on the direct down Battle Mountain route. 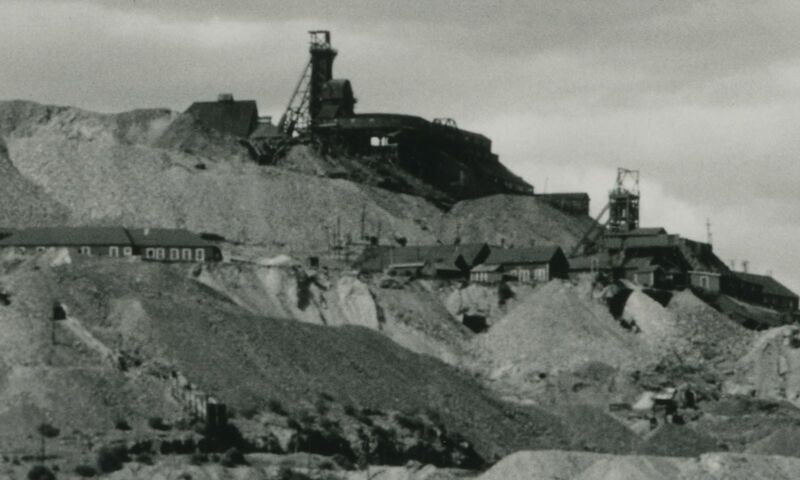 My Website; Postcards Overview: ⊞ Portland Mine, Cripple Creek District, Colo.
Portland Mine Cripple Creek District, Col. 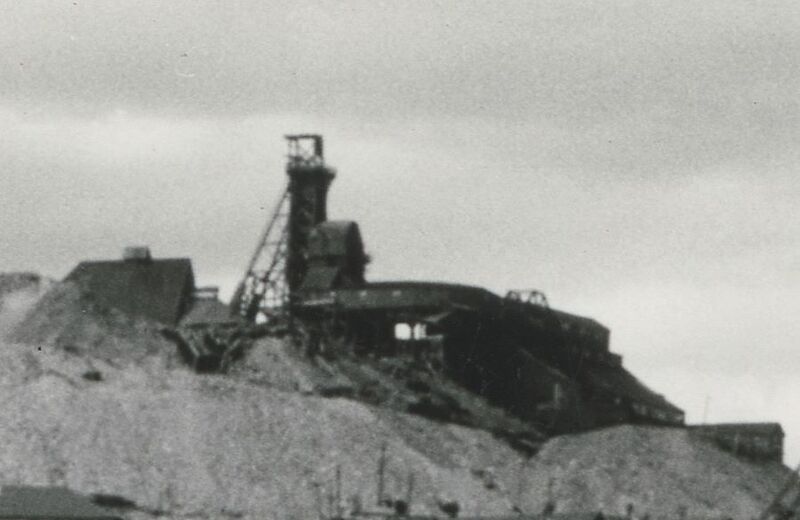 This view of the great Portland Mine shows in the foreground the Number 1 shaft (aka Burns Shaft) where the shaft house seems to be gone, and the head frame is exposed for some reason. As there is still a shaft house over the Number 2 shaft in upper right background, I am not sure if this is from the time frame when shaft houses were banned due to their fire hazard, or some other reason. Either way, the operation here is massive by just judging the huge crib-wall along the center of the view, and the enormous piles of waste rock filling the area around the structures. View shows in addition to the two shafts, just below right-hand side center the Portland Ware House and then the Office structure is the large building between shaft 1 and warehouse. The old Shaft House behind/uphill from the office is the old Scranton shaft or hoist as Sanborn 1896/1900 calls it. Postcards; Unknown Publisher(s) - Published in ????. no. 6; Postcard Folder named "The Greatest Gold Camp on Earth. Souvenir Folding Card of Cripple Creek District. "; undated - Published in ????. Postcards; E.C. Kropp Company [C2038] - Published in ????. My Website: ⊞ Postcards Overview; Portland Mine Cripple Creek District, Col.
My Website: ⊞ Album; Portland Mine, Victor, Colo. This card has a date of January 25, 1939 written by hand on the backside with a name that appears to say Lester Ropes Jr. below it, but other than that, dating this view is not that easy I feel. 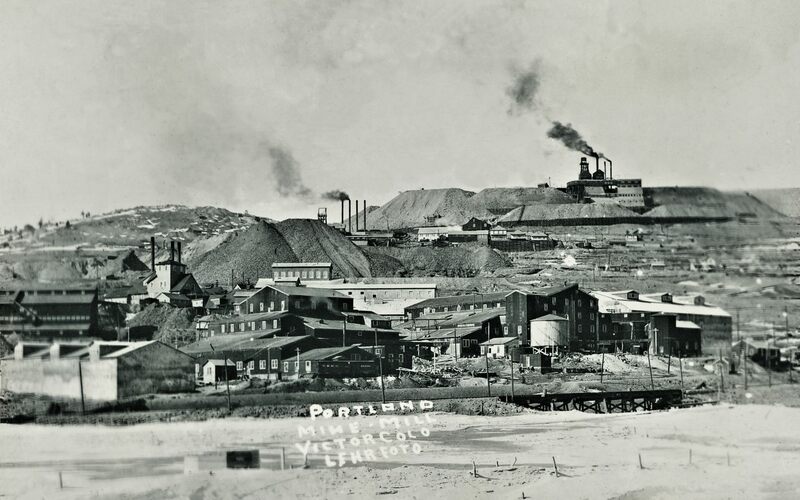 There are huge dumps, also it appears to be some sunken earth in the foreground, and two large mine operations with Portland No. 1 – the Burns – Shaft at the left-hand side and the Portland No. 2 Shaft near upper right-hand corner. Huge crib-wall below the No. 2 Shaft hold back massive dumps, I also see several structures further down the slope of Battle Mountain. Sadly, the card is not the sharpest I've seen, and the contrast against the sky is not the best for smaller details, it scanned OK but not great. 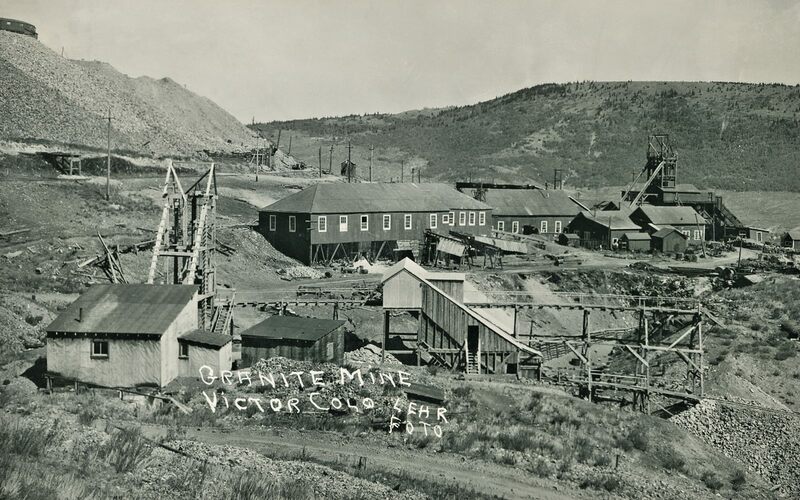 Postcard; Published by unknown; titled Portland Mines Victor Colo. 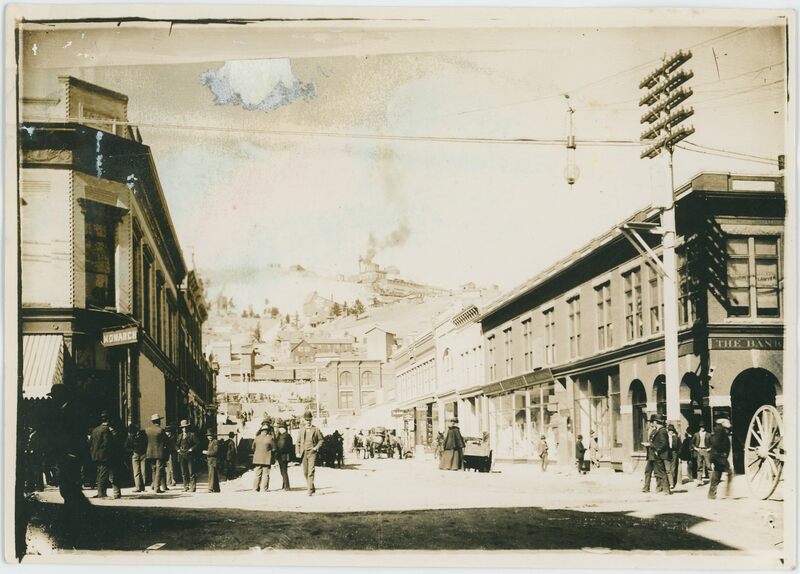 Cripple Creek Gold District C-31 Young - Published in ????. Postcard; Published by unknown; titled Portland Mines Victor Colo. 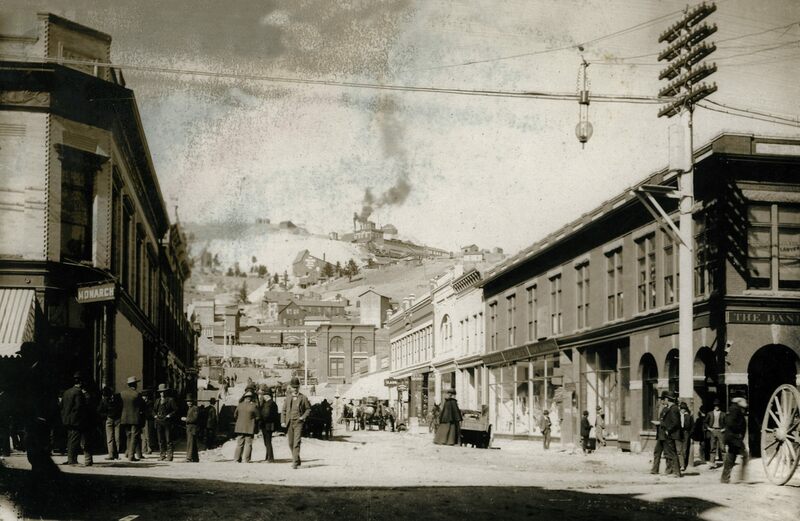 Cripple Creek Gold District C-31 Young -> cropped slightly different from source negative - Published in ????. This is the second version of this card I've seen, different crop where there is a little more seen at the bottom and on the left-hand side, in terms of a millimeter or three. Marked as H & H, Cripple Creek, 09 – making this a view by either Hileman or Hill as they worked together at this time. I've also seen a version of this view where the left upper side has some hill visible, but both my cards have that missing in the faded distance. I think the background right is showing part of what was to become Portland Mill on top of Battle Mountain, while the head frame and high tower like structure in background against the sky just right of the center left/right is from what I'm able to gather, the Portland No. 2 Shaft & headframe, as it looks very much like some other views I have of it. I felt it was too visible from this angle, but I've been unsuccessful to find any other mine in that area to fit, so it must be the Portland No. 2 shaft. 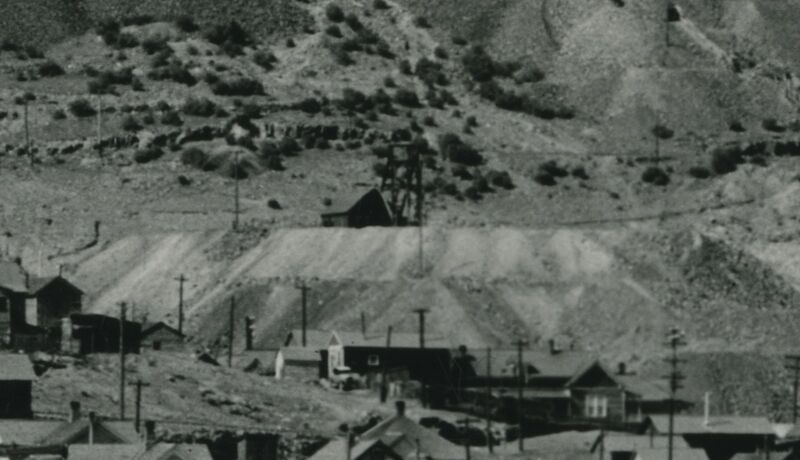 The railroad track in lower left is the Short Line/High Line roadbed going towards town of Independence and the route down passed Goldfield and into Victor, while the railroad tracks seen nearly buried in the dumps at the Last Dollar mine is the side-spur of the Golden Circle 3-foot track going towards the Vindicator Mines and for a short while the Black Sampler at Victor Pass. 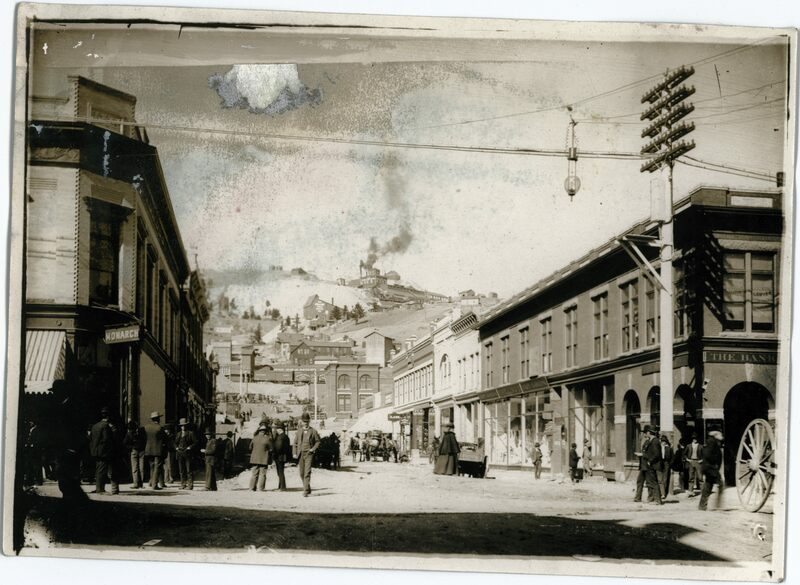 Postcard; Published by Unknown; titled Last Dollar Mine H. & H. Cripple Creek. 09 [crop version 1] - Published in ????. 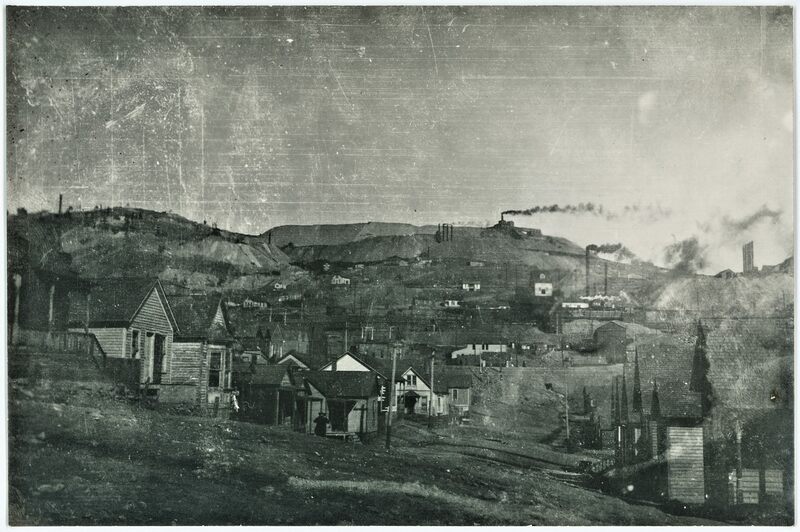 Postcard; Published by Unknown; titled Last Dollar Mine H. & H. Cripple Creek. 09 [crop version 2] - Published in ??? ?.